It's always a good time at Rbar. Come by today and enjoy a pint of Pasteur Street Brewing Company's Jasmine IPA, poured fresh from the tap! 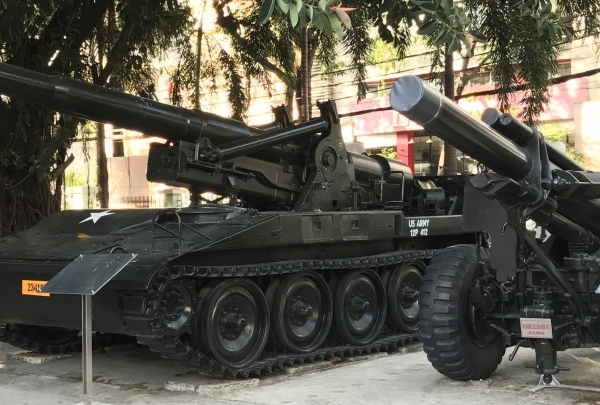 The War Remnants Museum is the most famous museums and a cultural attraction for tourists in Ho Chi Minh City. The War Remnants Museum was opened in April 1975 after the Reunification of Vietnam. It commemorates the heroism of the Vietnamese people against the invaders and also talks about the dire results of the war. Today this museum is one of the must-see museums when you travel to Ho Chi Minh City. 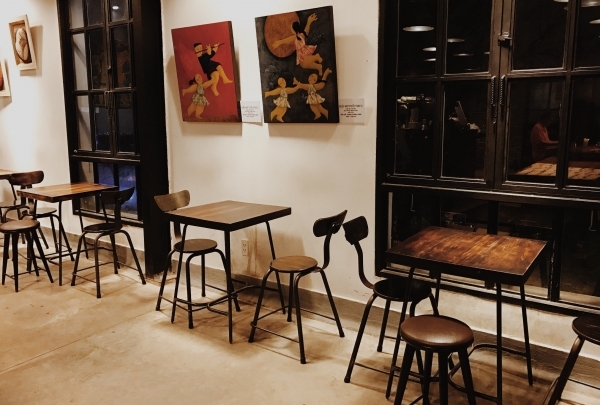 SOHO Cafe Lounge is a new cafe-lounge that has just opened at the corner of Dong Khoi and Ngo Duc Ke Street. During the daytime, they serve breakfast and lunch and is mostly explored by locals. 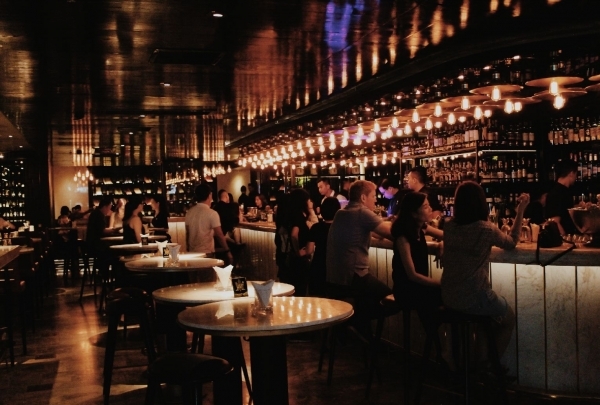 In the night time, it turns into a lounge bar with DJ allowing both locals and foreigners to enjoy drinking and music after a long working day. 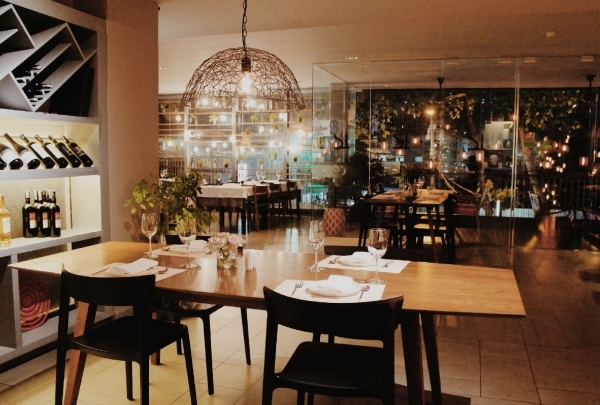 Located on Dong Khoi, Saigon’s most fashionable street, Anh Tukk offers delicious modern Thai dishes. Anh Tukk is located on Dong Khoi Street in the heart of District 1, near Nguyen Hue Walking Street, making it a popular spot for locals and travelers alike. 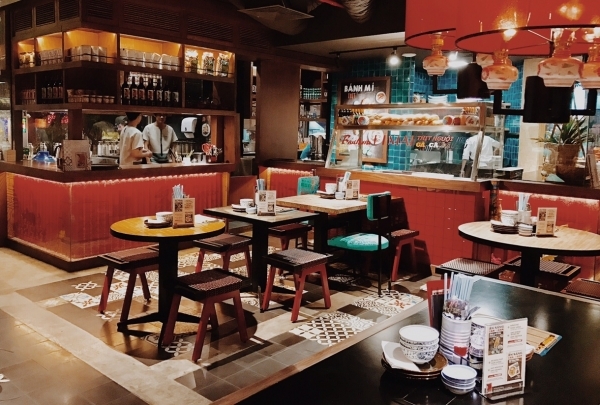 The interior of this restaurant is spacious and comfortable, and is spread across three floors. The food and drinks at Anh Tukk are delicious, unique, and made with the traditional ingredients of Thailand. Specializes in providing high quality lacquer furniture with fine detailing and sophisticated craftsmanship. All lacquer furniture products of NGA follow traditional processes, but also apply modern techniques. Each product is finished with 13 coats, to ensure the durability and absolute quality of the product. 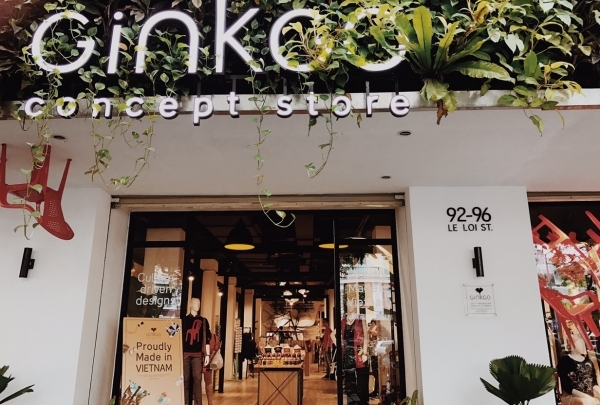 This shop sells products made by different Vietnamese designers and brands. Ginkgo focuses on natural products made from organic and sustainable materials to ensure that customers get the highest quality products. 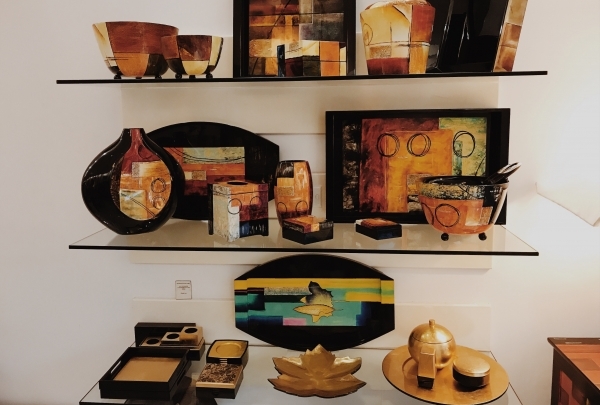 The shop features products crafted by Vietnamese artists and designers, making this the perfect place to stop for a one of a kind item to bring home from Vietnam. This restaurant just opened on Dong Du Street, in the heart of District 1 in Ho Chi Minh City. The restaurant serves traditional Vietnamese food in a modern interior.Chef Duong won the 4th position in Top Chef Vietnam in 2014. His passion for Vietnamese food and his hard work have made him one of the most famous chefs of Vietnam. Tradition meets modernity at this Vietnamese temple dedicated to Buddha - it's the largest in HCMC. One of the city's most popular sights, the Chùa Vĩnh Nghiêm offers a unique insight into the culture of Vietnam. This major temple is open to the public for visitation and prayer. Spread out over 6000 square meters (64583 square feet) the temple features a beautiful sanctuary decorated with elaborate carvings, pillars and statues of Siddhartha Gautama, Samantabhadra and Manjusri. The 40-meter (130-foot) high tower is the highest structure of the temple complex, and quite an impressive sight. Come during worship hours to immerse yourself in the sights and sounds of a traditional prayer session with the aroma of incense and the echoes of chants reverberating through the walls. 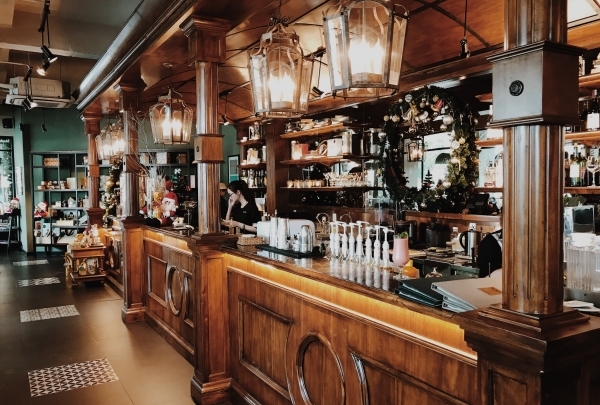 A new cozy bar in the heart of Saigon. This is a good place for a drink and to enjoy live music after dinner. Bee Tee Cee is a new bar that has just opened. It's just opposite the Park Hyatt Hotel Saigon. This is a small bar but it has a lounge, live music, and a rooftop bar. 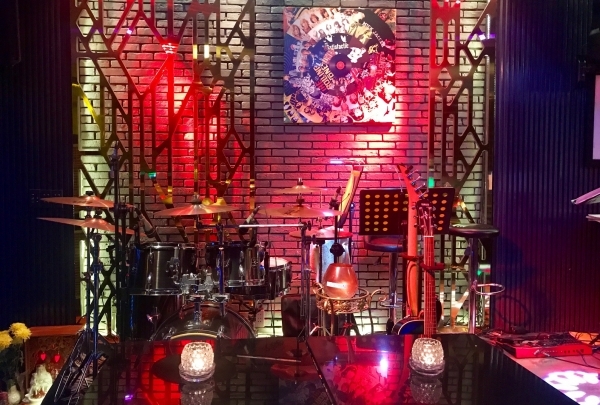 The live band performs in the ground bar every day from 9:30 pm until late. On the rooftop bar, the acoustic band plays on every Fridays and Saturdays. 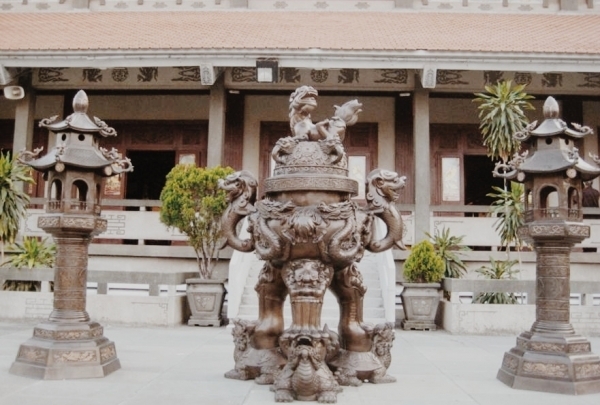 This is a place to preserve and display tens of thousands of precious objects collected inside and outside Vietnam. 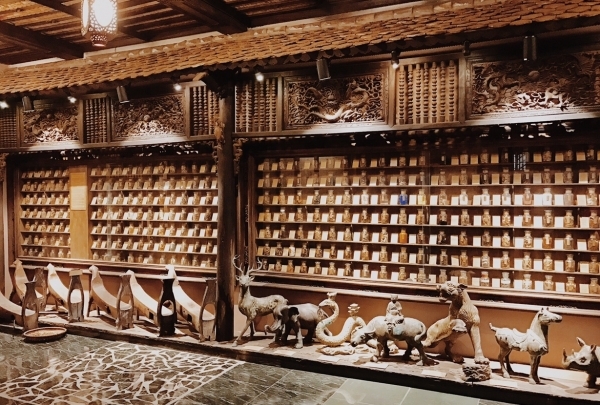 The museum displays the history of the country from primitive times through the Hung King, then Ly, Tran, Le, Tay Son, Nguyen reign with remnants of ornaments from the daily life to the war. The typical cultural features of Vietnam, including Champa culture and Oc Eo. The second floor is the stage for more artistic display, the Buddha statue, the ceramic jar, stone sculpture, etc. 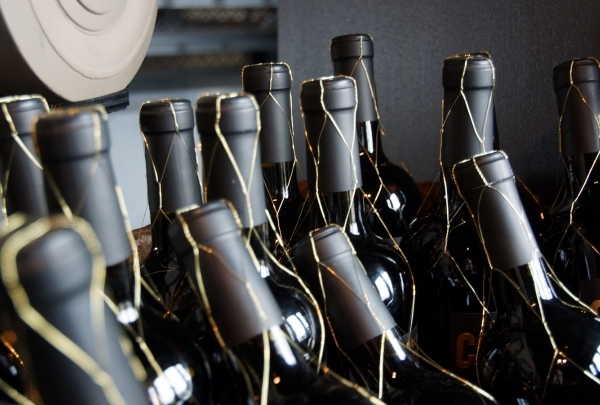 Qui Lounge offers an extensive selection of premium wine, sake and Japanese whiskey with DJs playing music every night. Qui Lounge located on Le Thanh Ton Street in the heart of District 1. In a luxurious space with a warm intimacy, Qui brings cultures together with diverse culinary selections combined with unique forms of entertainment. There is also a bar with nearly one hundred wines and DJs performing every night. 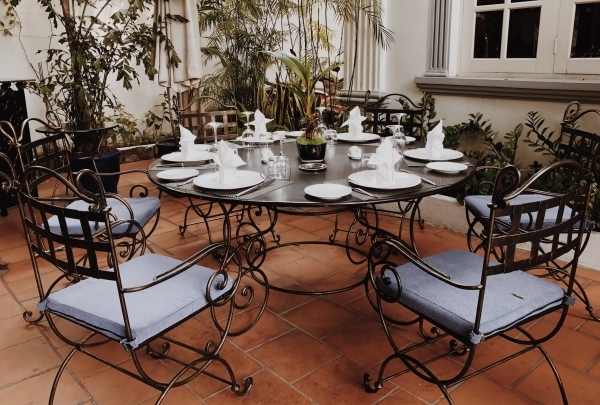 A French fine dining restaurant in a French-style villa with a beautiful garden and swimming pool. Chef Thierry, who also owns the restaurant, has brought Michelin-quality fine dining to Ho Chi Minh City with La Villa, a French restaurant that is sure to impress. Enjoy gourmet French cuisine while surrounded by a luxurious villa setting. 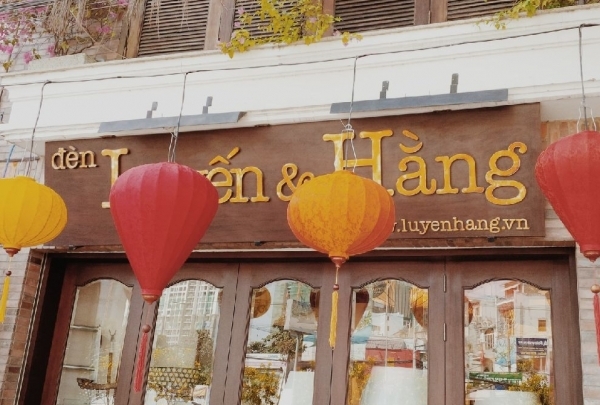 A new place for shopping and eating in Ho Chi Minh City for both tourists and locals. 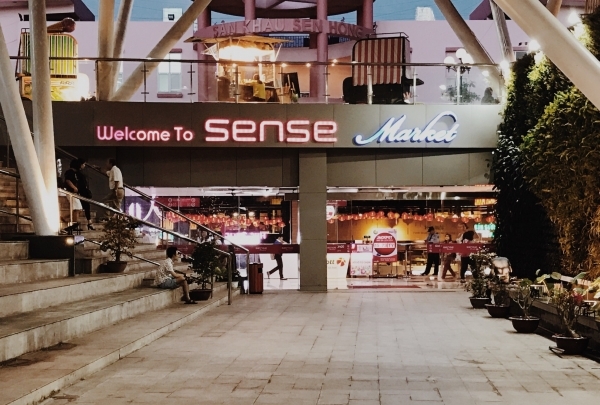 The Sense Market is an underground shopping mall and food court located at 23/9 Park. The shopping mall - Taka Plaza - has about 400 small shops. The food court - Asiana Food Town - has over 100 food stands where you can find Asian cuisines from ThaiLand, Malaysia, India, Japan, Cambodia, and Vietnam. This casual eatery specializes in all things Southern barbecue - their cashew-smoked pork ribs and roasted pork belly are legendary. Quán Ụt Ụt literally translates as "Oink Oink" and unsurprisingly, the raison d'etre of this busy restaurant is meat - specifically pork - in all its forms. Each moreish plate they serve is prepared with meat, chicken or seafood that has been slow cooked for hours to infuse it with aroma and flavor. Every morsel will transport you to the American Deep South, and leave little doubt as to the restaurant's popularity with locals and expats alike. Savor specialties like sweet sugarcane-smoked chicken, sticky pork tail, cheesy grilled oysters, and charcoal grilled pork rib tips; they pair perfectly with a Platinum Premium Pale Ale or a carafe of house wine. Save room for dessert; their bacon ice cream is to die for. Perched atop the Centec tower, this chic restaurant offers the best European cuisine paired with stunning views of Reunification Palace. Arguably one of HCMC's best rooftop restaurants, Shri offers an unforgettable experience in the heart of the historic center. This contemporary restaurant and lounge offer an intimate dining space that is at once elegant yet comfortable with a 360-degree spread of the glittering city lights. Dine alfresco under the stars on their gorgeous garden terrace framed by Frangipani trees and tranquil water features as you sip on fine wines and craft cocktails. 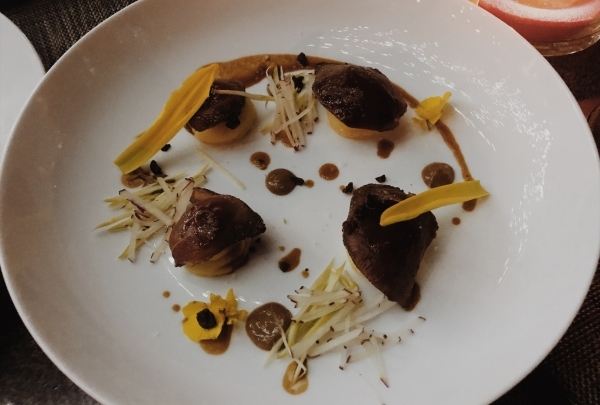 Savor dishes like pigeon supreme, braised lamb, foie gras on brioche with star fruit, and scallops with lentils. Head to Shri for quiet conversations and romantic dinners. Discover a haven of serenity in the heart of the ever-busy Dong Khoi as you absorb the peaceful atmosphere and simply take a breath. Ho Chi Minh City is an exciting place to explore with its lively street culture and rich history. However, all of it can get overwhelming at times. For a break from the chaos and noise, head to the Central Mosque to discover a different side of Saigon. This beautiful building was constructed in 1935 by South Indian Muslims so they could have a place to worship in the city. It is now one of 12 mosques serving HCMC and a place of pilgrimage for Indonesian and Pakistani believers as well. 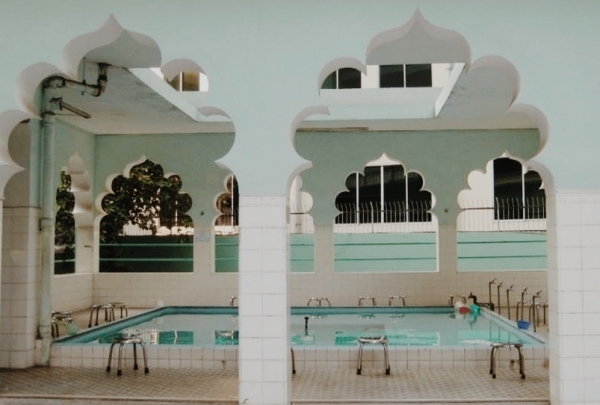 The mosque features a shaded verandah, decorative minarets and the customary pool for ablutions. Dress modestly and remove your shoes before you enter the building. If you're looking for halal food, the neighborhood around the mosque offers a variety of options. 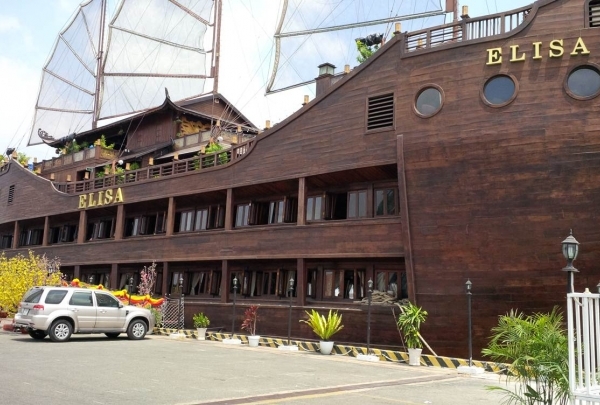 Savor Vietnamese cuisine with a gourmet flair at this boat restaurant docked right on banks of picturesque Saigon. Dine alfresco under the twinkling stars and glittering lights of HCMC on this elegant floating restaurant offering some of the best city views from its wooden sky deck. Savor market-sourced seafood specials like king prawn sautéed with salted egg, stewed sea cucumber and shark's fin; blood cockle salad; crab sautéed in tamarind sauce; and steamed grouper in black bean sauce. While the menu focuses on bounty from the sea, there are also other local specialties like butter-garlic snails; roasted pigeon; stewed beef with green peppers; and Chinese spinach with shitake all accompanied by savory rice or noodles. A nice selection of wines offers the perfect accompaniment to your meal. Be sure to call ahead to book a table, as the boat is a popular venue for special occasions and private functions. Choose from over 300 wines to pair with dishes like Wagyu beef with lobster as you soar over the HCMC skyline at this trendy restaurant. Discover Ho Chi Minh from the top of its tallest building as you dine with a panoramic view. This restaurant exudes elegance from every angle with massive floor-to-ceiling windows, plush curved seating and chic black-and-white décor. Their French-inspired menu offers a contemporary twist on classic fare. 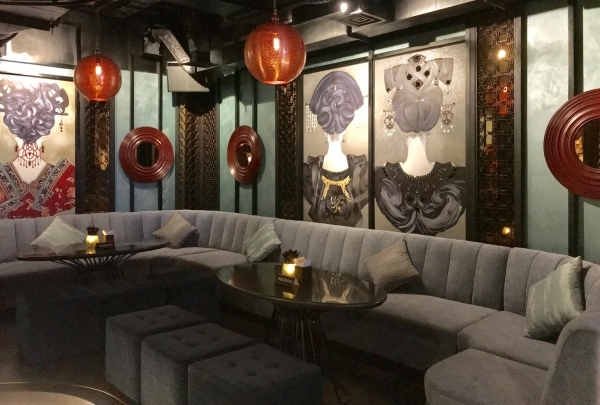 Their cocktail lounge is the ideal venue to unwind after a long day. Spain meets Vietnam at this cozy downtown bar where the vibrant strains of live flamenco music are guaranteed to have you tapping your feet. Let the soulful rhythms transport you to the heart of Madrid as you appreciate the flamboyant art of flamenco. Carmen's classy decor is evocative of a wine cellar, complete with characteristic mood lighting in crimson hues and rustic, unfinished stone walls. Rest your glass on a candle-lit table fashioned from kegs as you enjoy the music and some conversation over a shared pitcher of sangria. Their drinks menu is quite extensive featuring beautifully-presented craft cocktails, wines and beers. If the beat catches your fancy, don't hesitate to get up and dance either, it's a great place to show off those ballroom moves. Carmen is a hit on all fronts; it's no wonder that the bar is packed full of locals and expats on most weekend nights. 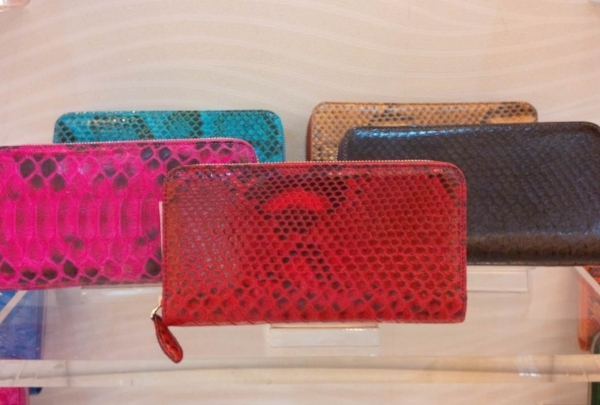 Amp up your signature style with exotic crocodile leather purses, belts and wallets from this exclusive local boutique. Located in the heart Ho Chi Minh's upscale District 1, Viet Thanh is the epitome of sophistication. Discover a handcrafted selection of unique accessories made from the finest leather at this store. Each of their beautifully-finished products are manufactured in Vietnam, and guaranteed to be authentic. Whether you decide to make a bold style statement with one of their vibrant red totes or an elegant entrance with a classic black purse; you're sure to find something to suit the occasion. Their custom-made key chains and coasters make for an ideal souvenir or special gift. Call ahead for hours. 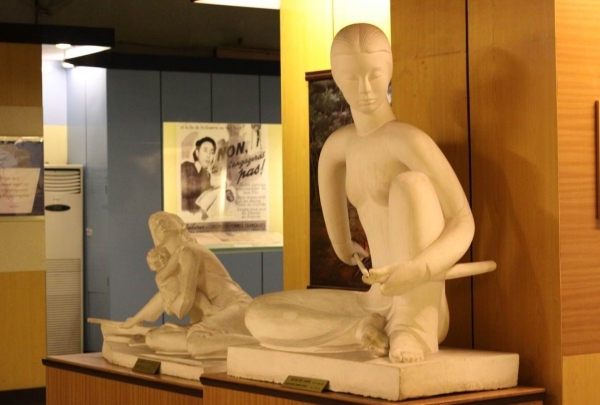 Take a tour and discover the contribution of Vietnamese women, particularly in the struggle for National Independence at this modern museum. Spread out over 2000 square meters (21527 square feet), this museum is a must-visit for all those interested in the art, culture and politics of Vietnam, seen through the eyes of women. Each of the 10 galleries is dedicated to this theme, shown through artifacts, photographs and multimedia. Some of the major ideas include armed struggle in the southern wars, labor and factory life, daily routines, and historic sites and the myths surrounding female personalities. The museum also features a large (500-seat) auditorium, library, film theater and souvenir boutique. The galleries exhibiting ethnic apparel, memorabilia of revolutionary soldiers, fine jewelry, traditional furniture and ceramics are especially interesting. They weave a story of resilience, national sentiment and pride of these bold pioneering women, through the past and into the future. Explanations in English are available throughout the museum. A rooftop garden restaurant serves traditional Vietnamese dishes with a fantastic view of Nguyen Hue Street. Looking for a nice Vietnamese restaurant for dining with your partner, your friends or your family? If so, SH Garden restaurant is a must to try. 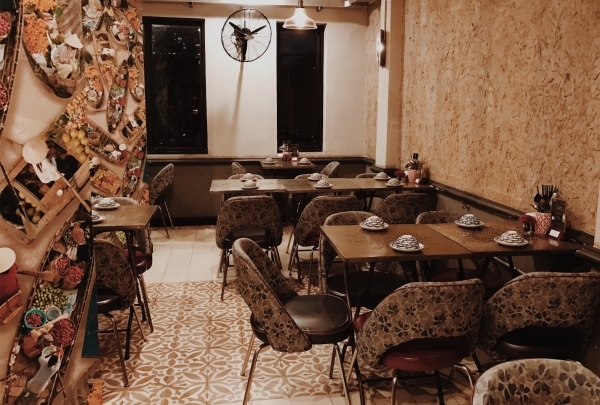 Located on the rooftop of an old French style building on Nguyen Hue Street with a vintage iron elevator, SH Garden serves variety traditional Vietnamese foods in a nice and simple family style. An interior and decor shop that sells lamps, porcelain, and statues. Luyen Hang Shop designs and produces all kind of lamps made from wood, bamboo, silk, and bronze. Their products focus on quality and clients' satisfaction. They also sell porcelain, statues, water puppets, and vintage clocks. The biggest Vietnamese Mendicant Buddhist Monastery in Ho Chi Minh City. 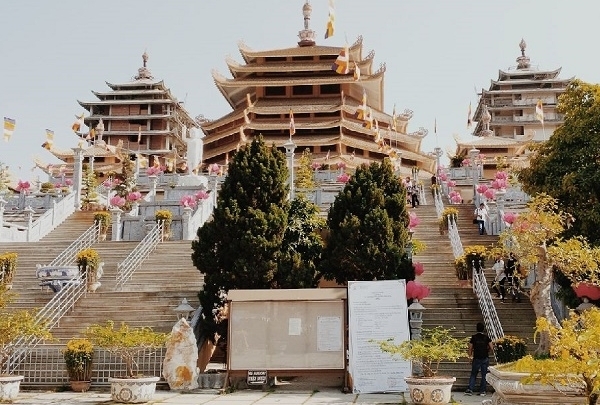 This Vietnamese Mendicant Buddhist Monastery was named after an influential Vietnamese Monk, the Venerable Minh Dang Quang. He was the founder of the Mendicant Buddhist Order, one of the largest Buddhist sects in Southern Vietnam. An authentic Vietnamese restaurant. The owner is Mrs. Thu Thuy - top 3 of Master Chef Vietnam in 2014. This is an amazing restaurant in the center of Saigon serving mostly dishes from Central Vietnam with great service. It is located off the street and has an interior courtyard that had a lit tile walkway to the entrance. You should order fish sauce chicken wings with pandan sticky rice or the 4 dishes chicken, which is the signature dish of this restaurant. 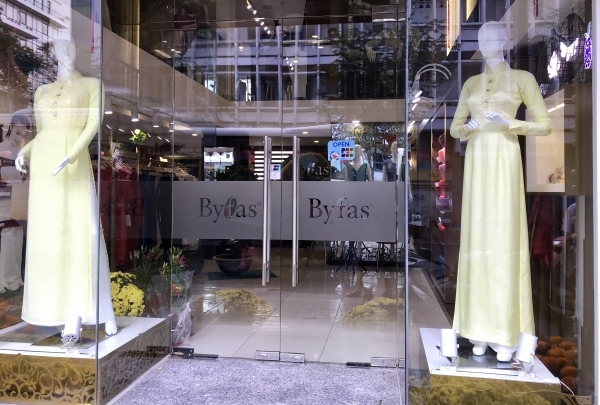 Byfas Tailor is a tailoring service that make garments according to customer's' requests. They can even make clothing based on photos or samples brought in by customers. Ready-made clothes, like designer dresses, are sold here as well. 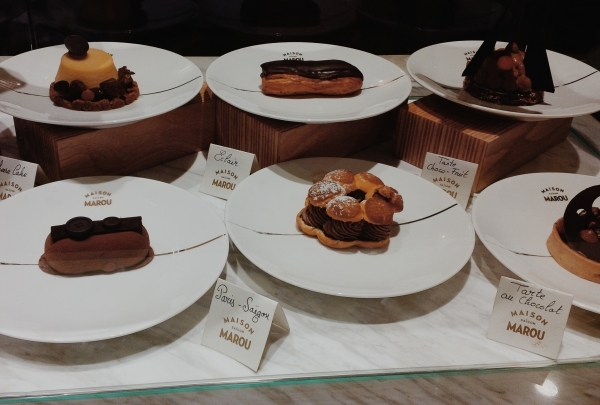 The world's finest chocolates are made at this shop right in Ho Chi Minh City. The flavor of Marou chocolate is better than other chocolates, supposedly because they choose the best cocoa beans as raw materials. That means the producer has managed everything, from raw materials on the farm until the final product is finished. The achieved result is a line of chocolates with an exquisite special taste. Ho Chi Minh City Museum is a special work of art with a harmonious blend of architectural types. 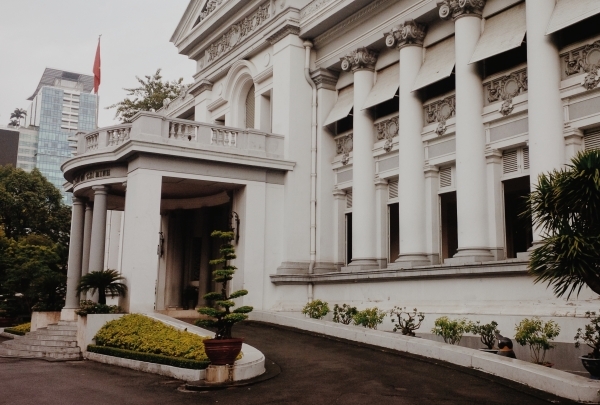 Ho Chi Minh City Museum is a museum with distinctive architectural style, combining Asian and European influences. 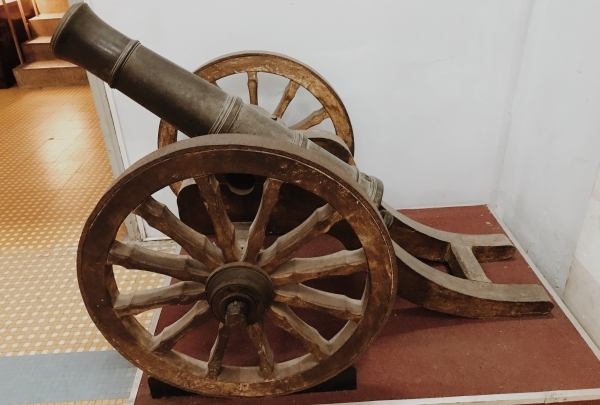 It exhibits a collection of precious objects of Saigon history from the historical period since the Viet Minh led the resistance against French colonialism to the present day, attracting domestic and international visitors. Try some of the unique Vietnam culinary creations at Si. Si serves delicious fusion cuisine, a unique combination of taste, preparation, and presentation. 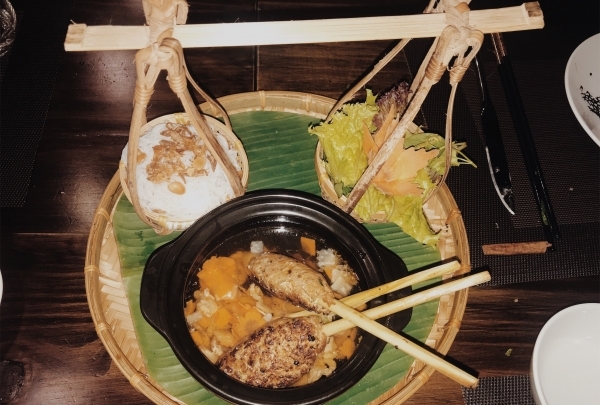 It is the combination of the features of classic contemporary Vietnamese food with spirit of Vietnamese culture that makes Si special. 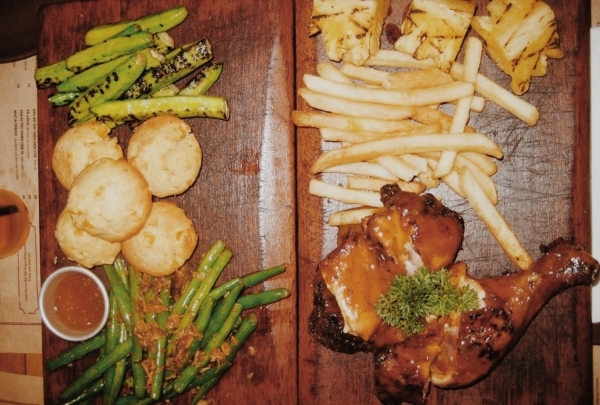 At Mandarine, you will not only enjoy yourself in a cozy and ancient space but will also enjoy the delicious food. 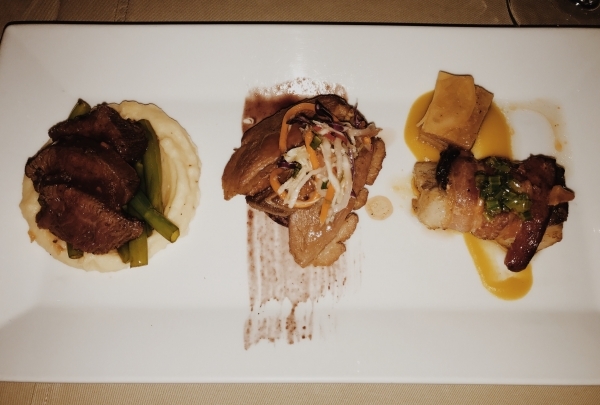 Mandarine specializes in Vietnamese cuisine made with only the freshest ingredients available. The warm and cozy interior furnishings will make you feel at home while the attentive staff serves up delectable dishes bursting with flavor. 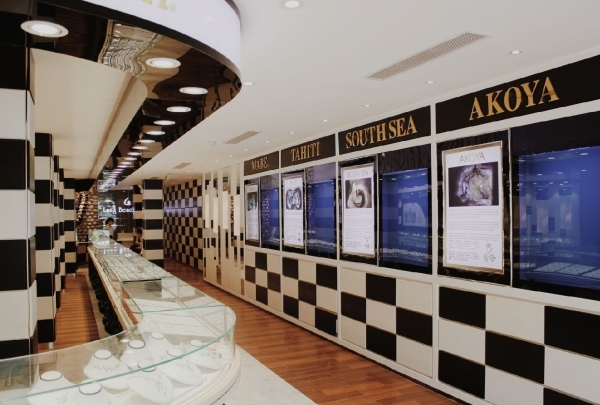 This store specializes in high quality products made with only the finest Vietnamese pearls. Long Beach Pearl specializes in providing jewelry products made with Vietnamese pearls. Vietnam is known for both its freshwater and saltwater pearls, so which ever variety you pick, you are sure to be pleased with the product. Keep an eye out for products made with Akoya, Tahitian, South Sea and Mabe pearls, as these are some of the highest quality pearls around. Namo is an artisanal pizzeria that offers up a taste of Naples in the heart of Saigon. 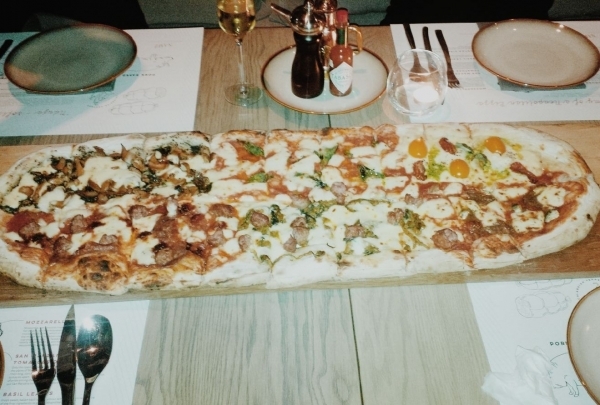 Namo, an Italian restaurant, gives diners in HCMC a chance to experience the delicious pizza made Napoli-style. Made from the finest Italian ingredients, these pizzas are then baked in the oven and served up steaming hot. Discover traditional authentic Vietnamese dishes in an open kitchen restaurant. Di Mai boasts a harmonious combination of modern design and traditional features. The main attraction of the restaurant is the open kitchen space design. Guests can peruse the salad and bread counter, in the main kitchen, and check out the dessert and refreshment counter. Relax and enjoy some of the best Vietnamese coffee in this artsy workshop. The Workshop is set up like a traditional coffee house with a massive coffee grinder presiding over the rest of the cafe. Coffee enthusiasts can order cups of delicious coffee at the bartender's counter, where their drinks are prepared right in front of them. 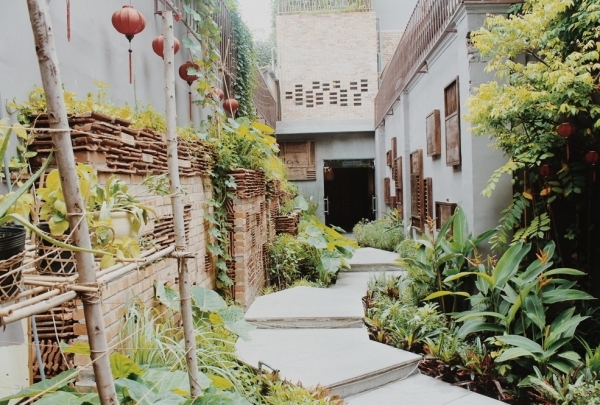 Explore the first museum about traditional Vietnamese medicine in Ho Chi Minh City. Fito Museum has recreated an authentic traditional medicine house complete with carvings and artifacts that are sure to impress any visitor. Immersive exhibits make it easy for visitors to imagine all the daily lives of doctors throughout Vietnam's history. An authentic Vietnamese family-style restaurant in downtown Saigon. 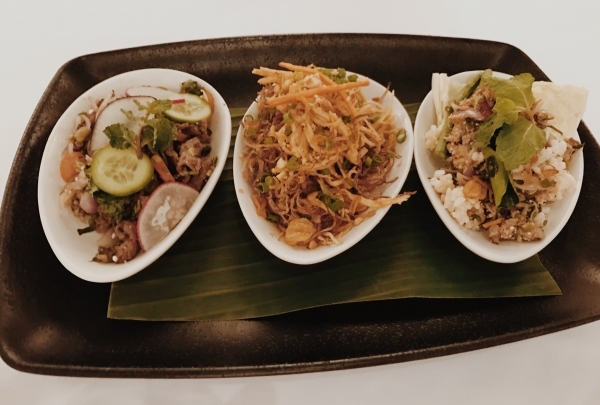 Enjoy delicious Vietnamese cuisine served up family-style. This is the perfect spot for a cozy night out with friends or family. Have a lively night at Woodstock. Woodstock is a modern bar that features a stellar lighting system paired with live music that is sure to keep you dancing all night long. 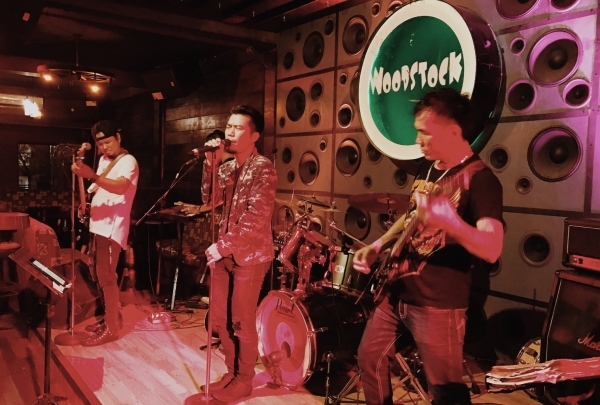 The Woodstock band performs nightly, while famous singers from Vietnam and the Philippines have also graced the stage. 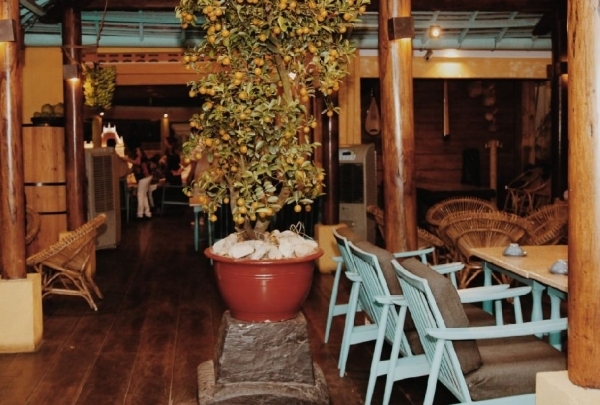 A modern and traditional Vietnamese restaurant located in the central of District 1. Xu Restaurant was established by Bien Nguyen, a Vietnamese chef who had years of experience in Australia. His goal was to create a stylish restaurant in Ho Chi Minh City, where he could show the best flavors of Vietnamese cuisine. Xu Restaurant is a luxury restaurant that serves both local people and tourists. Located in the center of Ho Chi Minh, with a nice view facing the Saigon River, the place offers a variety of drinks. This Runam bistro has very a lovely decor with an indoor and outdoor area. The menu offers a range of drinks and food. 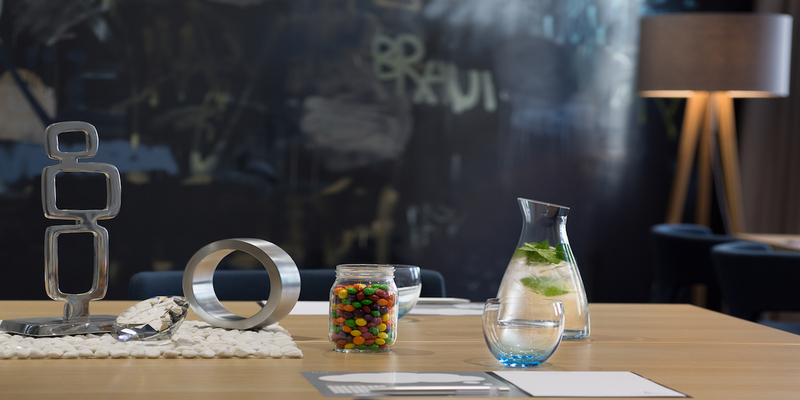 It is a perfect place to chat with your friends or enjoy some drinks in District 1. 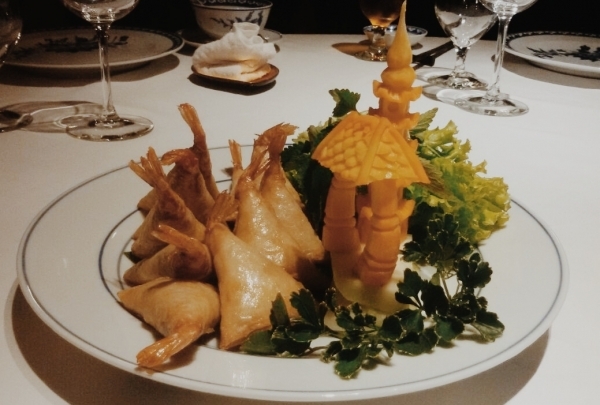 Savor delicious Vietnamese delights at this traditional restaurant located in a French style villa. 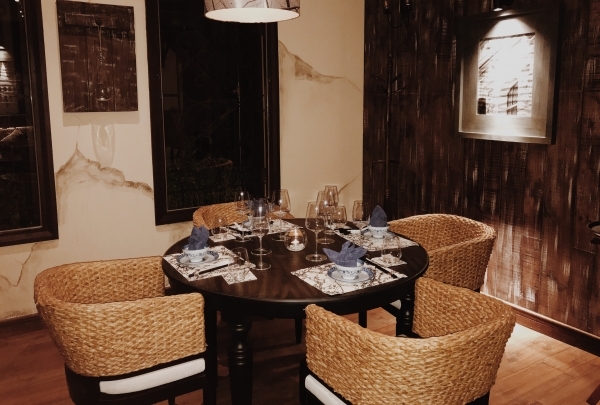 This restaurant serves Vietnamese traditional food in a villa which used to be the house of Mr. Tran Van Huong - The Former Vice President of The Republic of Vietnam before 1975. Mr. Han - The Executive Chef of The Chopstick used to be a famous chef at a five-star hotel in Ho Chi Minh city. He creates Vietnamese traditional dishes in a creative way to satisfy eclectic diners. A small but authentic Thai food restaurant in the centre of Saigon. 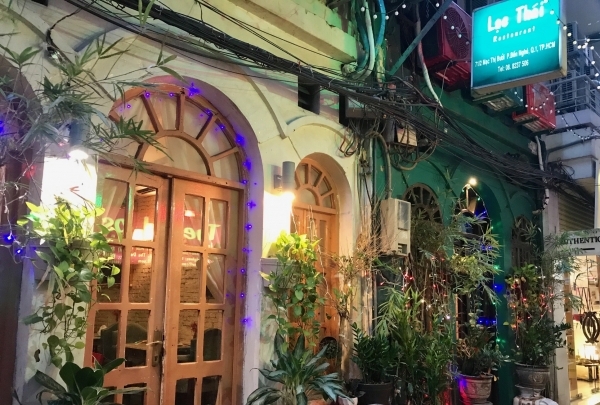 There are many Thai restaurants in Saigon but Lac Thai is one of the most famous serving Thai staples ranging from Pad Thai, Tom Yum to Crispy Deep Fried Fluffy Catfish with Mango Salad, Green Curry or Red Curry and more. t is hidden in a small alley on Mac Thi Buoi Street, District 1. 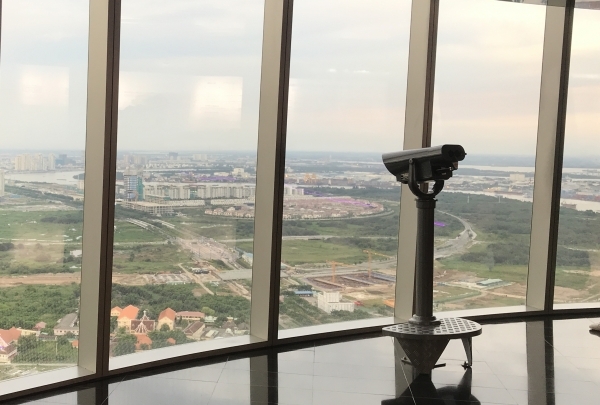 Get the whole view of Ho Chi Minh City's landscape from the 49th floor of the Bitexco Financial Tower. Saigon Sky Deck is located inside one of the tallest building of the city. 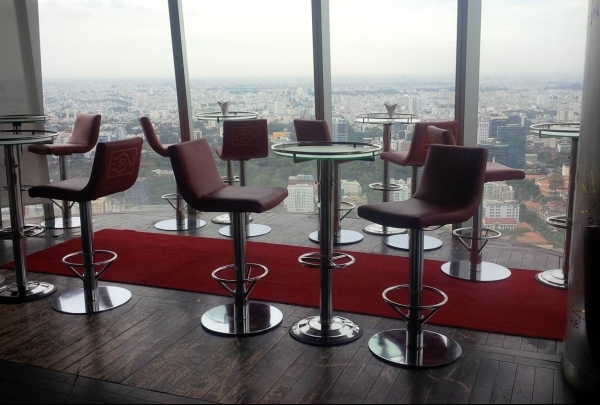 The admission to Saigon Sky Deck is VND 200,000 ( Adult), VND 130,000 ( Children 4 - 12 yrs). You can enjoy each part of the fantastic view of Saigon with binoculars. Details of each of the city's landmark is clearly provided on the touch screen on the Sky Deck.